Hold your horses! It hasn't been spotted testing. Instead, it was showcased in Goa to gauge dealer response. There is nothing concrete on this scooter coming to India. Yet! The funky looking Aprilia SR Max 300 scooter has been spotted in India, in Goa to be precise. And no, it wasn't being tested there or something. It was showcased for Indian Aprilia dealers to gauge response. So, there is no reason to be excited on the prospect of India getting a new maxi-scooter. Yet! Will Aprilia bring the SR Max 300 to India? We don't know for sure. Do we want it? Absolutely yes! But it has to make business sense for the company as well, right! The Aprilia SR Max 300 has proper maxi-scooter looks with a large front apron along with a windscreen which is adjustable and dual headlamps. The version which was brought to India is the Chinese model, which is rich in features too. The SR Max 300 gets a 9-inch TFT screen, Bluetooth connectivity, projector lamps along with daytime running lamps and a full HD action camera between the dual headlamps. Woah! In terms of engine specifications, the Aprilia SR Max 300 gets a 278 cc single-cylinder engine which pumps out about 21.6 bhp and 23 Nm of peak torque and yes, it is an automatic. In terms of cycle parts, it gets 35 mm telescopic suspension up front and twin shock absorbers with 3-level preload adjustment at the rear along with a 260 mm disc up front and a 240 mm disc at the rear. The SR Max 300 gets a 15-litre fuel tank which means that you could take it out on weekend rides in and around the city. The fuel efficiency on the Aprilia SR Max 300 is about 21 kmpl and this means that a range of more than 300 kilometres, which is pretty good for a 300 cc scooter. 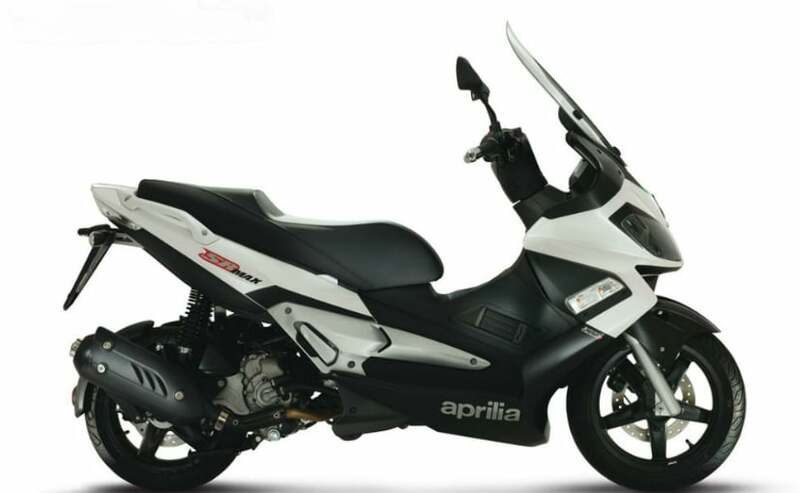 At present, Aprilia sell the SR 150 along with the SR 125 in India.